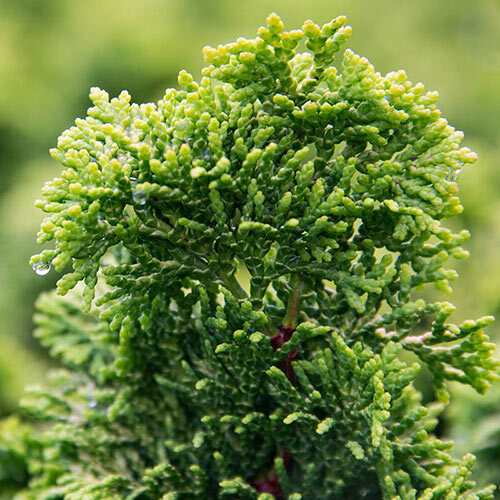 The habit on this Hinoki Cypress is very attractive. It develops this striking rounded form, and then gets more conical it matures. 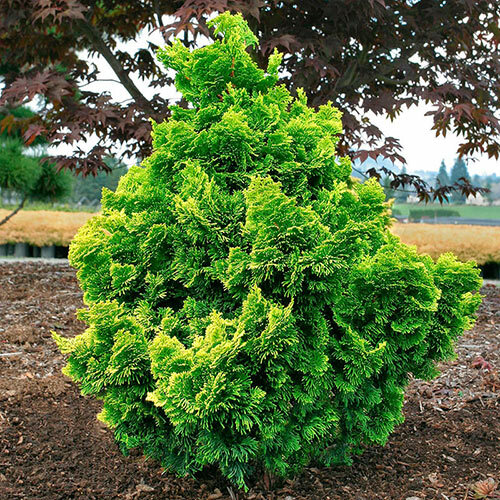 It'll grow slowly, taking its time to form dense sprays of green foliage highlighted in yellow, a fantastic coloring that becomes more and more pronounced with sunlight and watering. May benefit from you providing some afternoon shade, especially if you live in a particularly hot climate. It performs beautifully as a specimen or as a container plant.